Citing difficult financial times, county staff is advising the Board of Supervisors to lay off four full-time employees from the Department of Public Works Aviation Division, including Program Coordinator Emily Jacobs. Jacobs has been active in the county’s effort to recruit new air service and has helped manage the airport during the long, unexplained absences of embattled Airports Manager Jacquelyn Hulsey, who remains employed by the county. Staff is also recommending that the board extend a program that allows department heads to authorize voluntary unpaid furloughs for county employees. 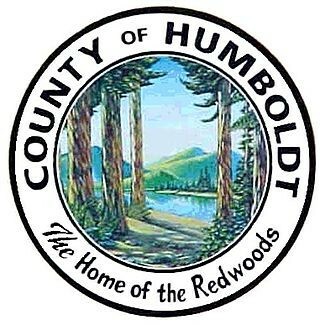 The county is looking at a $2.9 million loss to its general fund for fiscal year 2013-14, according to the third quarter budget review issued earlier today. There appears to be a perfect storm of financial woes hitting simultaneously. Among the many factors are rate hikes from the California Public Employees Retirement System (CalPERS), the elimination of state redevelopment agencies, the expense of hiring outside legal counsel and the nation’s slow economic recovery. The estimated balance of the general fund at the end of this fiscal year is just over $4.6 million, according to the budget review. Next fiscal year’s expenditures are projected to exceed $107 million while revenue is expected to be just over $104 million. That would leave only $1.6 million in the general fund for fiscal year 2014-15. “This is very concerning,” Chief Administrative Officer Phillip Smith-Hanes states in the budget review. The layoffs to the Aviation Division will save the county just $88,990, or roughly 3 percent of the projected shortfall. Nearly $200,000 in funding could come from the state thanks to Assembly Bill 109, also known as public safety realignment. More savings could be achieved through various “budget adjustments” recommended in the review, but not nearly enough to cover the projected imbalance. Reserves are also dwindling. Between July 1, 2009 and June 30, 2011 the county spent $2.75 million from its general reserve fund. That kitty is now down to just $750,000. “The County’s General Reserve should be 26 to 33 times higher than the present level,” the budget review states.